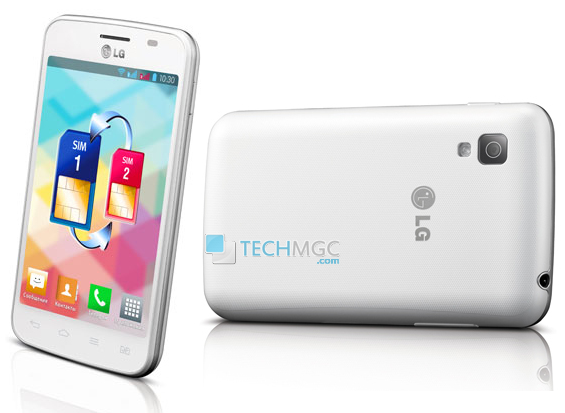 Two new LG device has been leaked named as LG L4 II and L4 II Dual in the Smartphone industry worldwide. It looks like LG is expanding their L-series of Smartphones to lure their customer with by providing them ever expanding range of budget smartphones. LG Optimus L series phones constitute of high power configuration powered smartphones at an affordable price range. Both these Smartphones will be placed within LG Optimus L series of Smartphones which already includes L3 and L7 Smartphones and now both this phones will join the same arena. 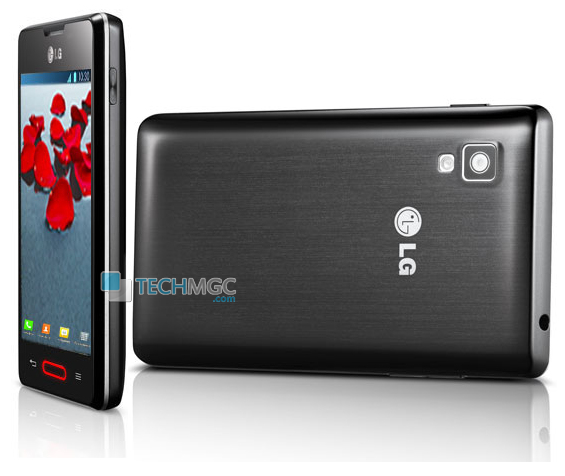 Shifting the shaft towards the technical details and specifications, LG Optimus L4 II modelled as E440 will sports 3.8 inch of Capacitive Touch screen display with 320 x480 of pixels resolution. 3.8 inch of screen size is quite good which will surely fascinate those buyers who wish to owe a decent screen size smartphone. More than 3.5 and less than 4.0 inch of screen size is quite comfortable to use it as a mobile phone though resolution appears to be little disappointing. Dealing with it’s Platform dependency, LG Optimus L4 II sails on Android 4.1 Jelly Bean Operating system powered with a Single core MediaTek MT6575 processor at a clock speed of 1GHz. In terms of Storage Specifications, this device will be offered with 512MB of RAM, 4GB of Internal memory. LG has also provided this device with a micro SD card slot which helps the user to expand the internal memory, memory can be easily expanded up to 32 GB with the help of this microSD card slot. In terms of overall body design, it supports a Home button with Smart LED display. Enumerating it’s Photography specifications, this device will be offered with only a primary camera options and lack secondary snapper options. On it’s back, it include a primary camera rated at 3MEGAPIXEL with LED flash technology, which enable the user to click nice quality snaps even in the low vision. Briefing it’s Connectivity specifications, LG L4 II will supports 3G, Wi-Fi 802.11b/g/n, Bluetooth 3.0, aGPS. To power it up, this device is equipped with 1700mAh of battery. Picking the second one in the line up, LG Optimus L4 II Dual modelled as E445 which houses the same technical details and specification as of LG Optimus L4 II. Apart of dual SIM features, all feature remains identical in both devices. From its technical and hardware specifications, we can conclude that it will be an entry level smartphone from LG, hopefully whenever it is going to launch in India, should come with good competitive price. Both these phones come in Black and White colors. According to the Russian site Hi-Tech.Mail.Ru these phones would go on sale in Russia in June at a price of 5990 Rubels (~US$189), so if launched in India, would cost somewhere near Rs. 10000. As per sources, we also came to know that LG will begin releasing the LG Optimus L4 II and LG Optimus L4 II Dual in Russia sometime this June. However, there is no information available regarding their launch or announcement for India though we can assumed it somewhere after 2 months from the official launch.